Lockhart Tactical is proud to ship most of our products World Wide! 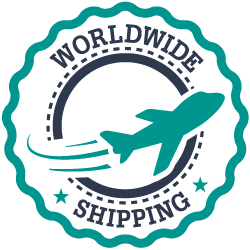 All international shipments (NON CANADIAN / USA ORDERS) are subject to a flat rate small box shipping fee of $69.99 with Tracking. Larger, Heavier boxes will be charged additional shipping. Payment of all International orders (Outside of Canada and the USA) must be made via bank transfer. Most companies won't ship World Wide as it adds additional hassle and a much higher risk of fraud. However, at Lockhart Tactical, we understand that it's far harder for other countries to get the exceptional equipment that we offer to our valued clients and we want to go above and beyond. We're happy to assist with any questions. Tactical, Safety & Hunting Equipment such as backpacks, chassis systems, Gloves, Footwear, Pouches, Safety Eyewear, Batons etc... can be shipped World Wide! MDT Firearm Chassis's which are 100% manufactured in Canada, can be shipped World Wide! Firearms will ONLY be sold and shipped to Canadian. Period. We will NOT export any firearms outside of Canada unless specifically requested by a government agency and will ONLY be conducted with proper Canadian export permits. Ammunition will ONLY be sold and shipped to Canadian's and Americans. We will NOT export any ammunition outside of Canada and the USA unless specifically requested by a government agency and will ONLY be conducted with proper Export / Import Permits required by law. If you have any questions about what can, and cannot be shipped to you, please don't hesitate to ask us! We're standing by to assist you with everything we can.